The election for Member of the Month for July is different than the others. Instead of choosing one member, the honor goes to nine AEGEE members that took part in the Identity meeting in the beginning of July. Anja Köngeter joined AEGEE-Heidelberg in March 2011 because she felt like giving something back to international students after her Erasmus and spreading the spirit of tolerance and solidarity among young people from all over the world. Another girl who joined AEGEE a little bit later is Ana Potočnik from AEGEE-Ljubljana, and she has a different story about joining AEGEE than the one you usually hear: “One of my friends decided it is time to find a boyfriend, so she asked me to join her on the meeting for the New Year’s event. I had no idea what AEGEE is, what kind of event they were organizing or for whom, but as a good friend I decided to support her “let’s find me a boyfriend” mission. One and a half year later she has a guy and I have AEGEE”. 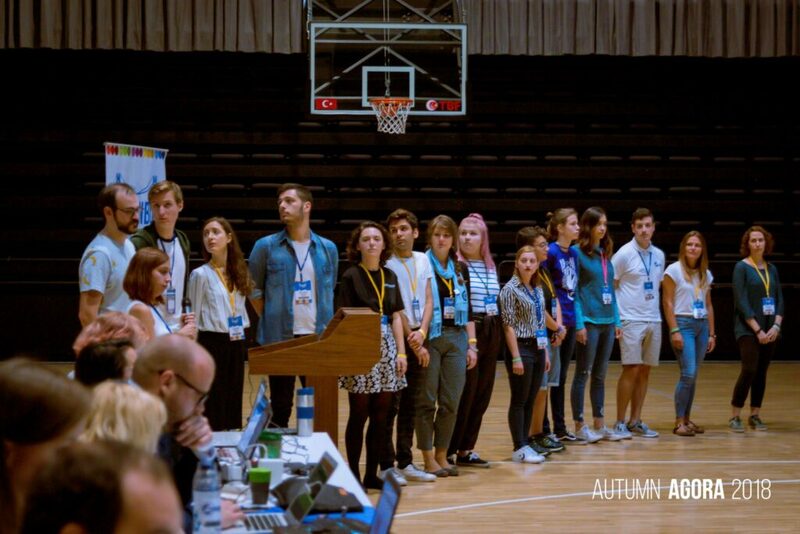 Another new Action Agenda Coordination Committee (ACT) member and Subcommissioner of Network Commissioner Patricia Anthony, Ruta Jankauskaité (AEGEE-Kaunas) was convinced by the former Network Commissioner Karolina Mazetyte to join. “Hers was the most important role, as there was no antenna in my city and AEGEE was something I knew nothing about, but there was something I still do not understand that made me stay”. Another Subcommissioner in Patricia’s team is Maria Arends (AEGEE-Groningen) and she was also in Brussels for the Identity meeting. She joined AEGEE in 2011 because she liked travelling and she heard about AEGEE a couple of times before, but never took the step to actually become a member. Then she met some people, they told her about an exchange they wanted to do a month later with AEGEE-Budapest, and that convinced her! 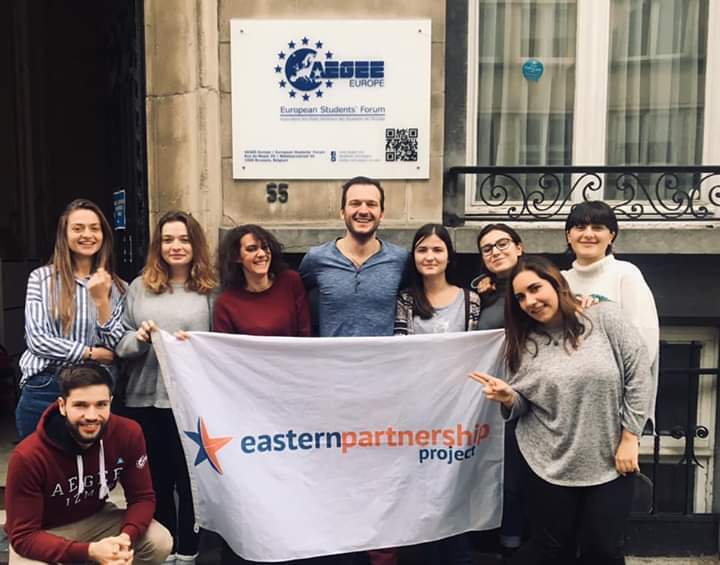 Francesca Russo (AEGEE-Padova) has the typical AEGEE story of joining – she joined to take part in a Summer University and she is the one who has been in AEGEE the longest in this group, having joined back in 2006. Ivan Bielik (AEGEE-Brno), an active member who frequently publishes articles in The AEGEEan, has been in AEGEE since the beginning of 2011. He joined because he wanted to become active in some student associations during his university studies. 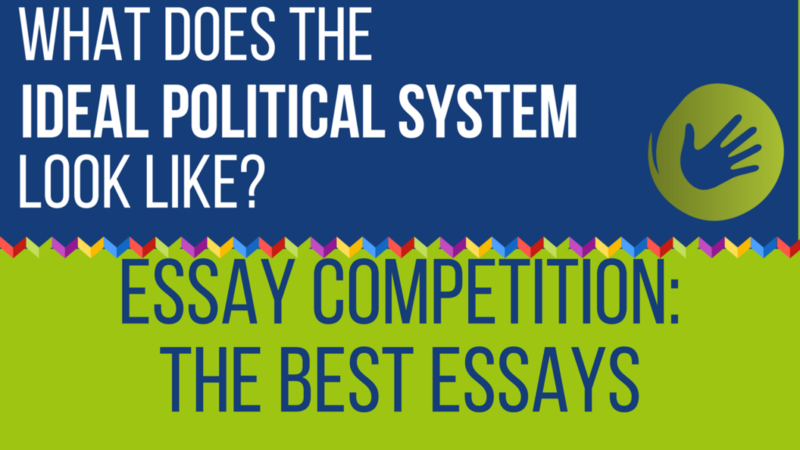 Opportunities that AEGEE offers were, and still are of high interest for him. Matthijs Overhaal joined AEGEE-Nijmegen in 2010 but is one of AEGEE members that have since changed antennae – he proudly become a part of AEGEE-Tartu. When asking how he joined AEGEE he says: “That is a funny story actually. I just came to live in Nijmegen and basically did not have much social contacts there yet. I would not say that joining AEGEE was a random lucky guess, but all I was looking for was social interaction. 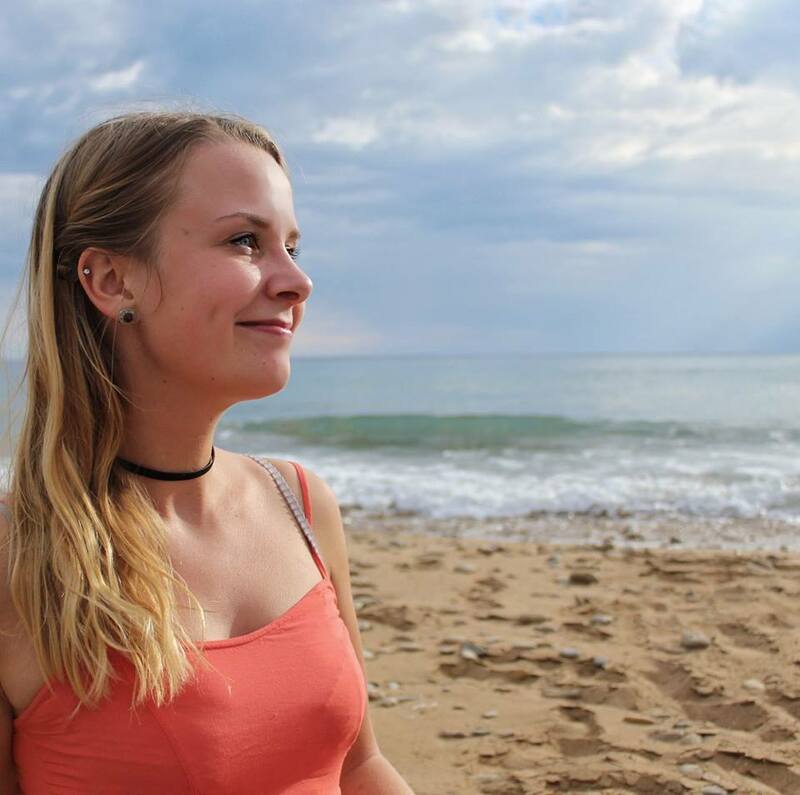 I certainly found that!” Mayri Tiido who is also from AEGEE-Tartu has been Member of the Month before as well, and her story can be read in the article that was already published. 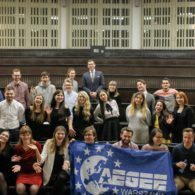 These members have done many different things in AEGEE, so The AEGEEan asked some of them about their experience in our organisation so far. 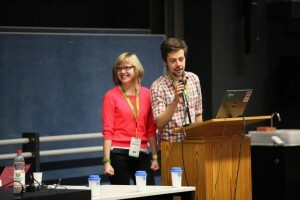 Ana: One month after I joined AEGEE I became a board member of AEGEE-Ljubljana. Since then I was the main organiser of Summer University, SUPS, NWM in Ljubljana and helped organise other events in our antenna. This summer I also became Antonija Parat’s Subcommie and now I am member of ACT. Maria: First of all, I started to do some things on the local level, organise some activities, etc., and I joined the trips. Then I became involved in the establishment of the Human Rights Working Group (HRWG), of which I will be Speaker until next October. After a while, I also became a member of Health4Youth project. 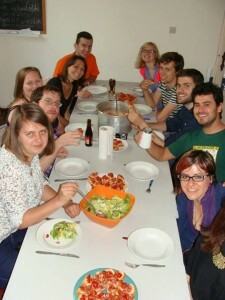 Next came Agorae, EBM Valletta, Planning Meeting in Poznan, an SU every summer, Network Meetings and some other events. At the moment I am Patricia’s Subcommie taking care of AEGEE-Durham, AEGEE-London, and AEGEE-Sheffield. Last but definitely not least, I am now in the Planning Team. Matthijs: For a year I was not present in the European level of AEGEE. I had no idea who/what was important whatsoever and was only (overly) active on the local level. However, things started changing, mainly thanks to Mayri Tiido. She showed me how cool and amazing it is to broaden your horizons, share opinions etc. In the end, it led to the foundation of Health4Youth project, which I and the others are very proud of. In between, I went to Training4Trainers in Warsaw, which turned around everything I believed in. I became a trainer in the Academy, was a trainer in local events, Agorae and European School Summer University (ESSU) Patra. Francesca: Local level: board member, secretary and now president of my antenna (for the last two years). European level : statistics analysis assistant of Mickey Turati and now Secretary of Human Rights Working Group and Subcommie of Network Commissioner Claudio Armandi. 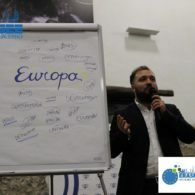 Ivan: I started on the local level and then after one year spent in the board of AEGEE-Brno, I moved to the European level and became a Speaker of International Politics Working Group, developed my own project – AEGEEDebate, and took part in other smaller activities as well. 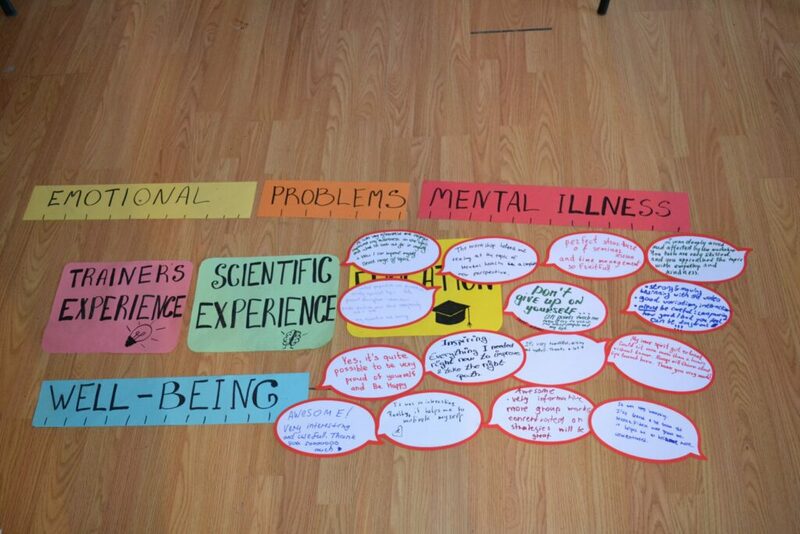 What drives you to be active in AEGEE? Maria: A gazillion things! First of all, the people. You work with so many other motivated members, and together you feel like you can do something, you can achieve something. That feels wonderful. Besides that, AEGEE is an addiction. Every time I do something with AEGEE, I want more. So in short, I do not know what drives me, but there is a powerful force that I cannot resist! Matthijs: Young people are the future and our generation faces so many challenges, not the least of which are health-related. Being an active young citizen makes me feel that I try to help this generation further and add something of myself to it. Ana: I love AEGEE because it is something completely different from my studies (biochemistry). 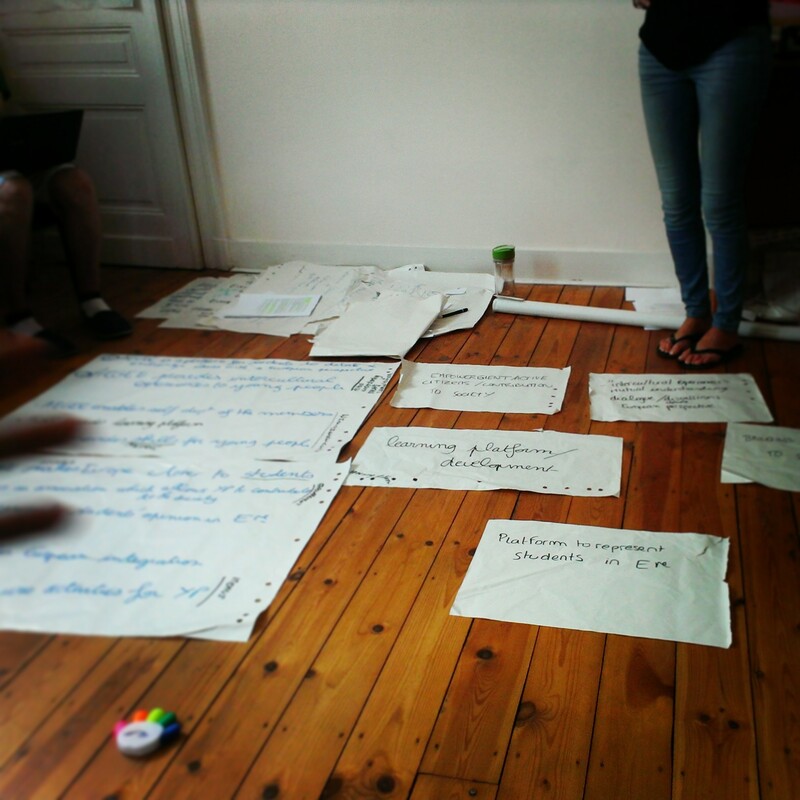 Sometimes I need my brain to take a rest from all the molecules and working in AEGEE is always fun. You meet so many interesting people with different backgrounds. What is most important is that you always learn something new. I was active since the very beginning, so it is the only way I know how to be a member. Francesca: AEGEE spirit! 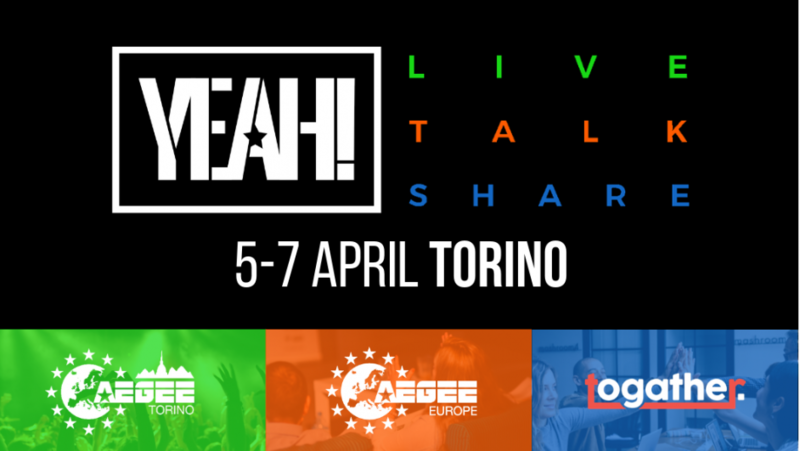 It is about what AEGEE can give me – meeting really cool people, finding interesting opportunities, having amazing experiences and then inspiring people to show them how cool it is to be active European citizens. I love helping youngsters to feel Europe! Ivan: Self-development of skills which I cannot develop through formal education and the motivation to change AEGEE for better. Ruta: Without a doubt, people you meet in European events, because here you learn but not through studying. What made you interested in taking part in the meeting? Mayri: I must admit that after attending my first Agora (Alicante 2011) I understood that AEGEE means so many different things to everybody. This made me passionate about what AEGEE is and I have had endless discussions about that with my friends. After hearing at Agora Budapest that there will be an Identity meeting, I knew I had to be there! Maria: Have you ever tried to explain someone what AEGEE is and what it does? In that case, I think you know! I mean, once I spent an incredible time to try to explain to a friend of mine and I thought, if I as an active member have problems with this, then how is it going for people that are not yet active? 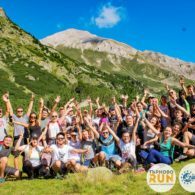 How do you even motivate people to join AEGEE? Matthijs: I followed the process since (almost) the very beginning and have always had my troubles with AEGEE’s identity. Being culturally, socially, politically and geographically diverse is a part of a double-sided medal which can be/is very troublesome. Analysing the opinions of all AEGEEans and drafting conclusions from them only seemed a logical step after that. 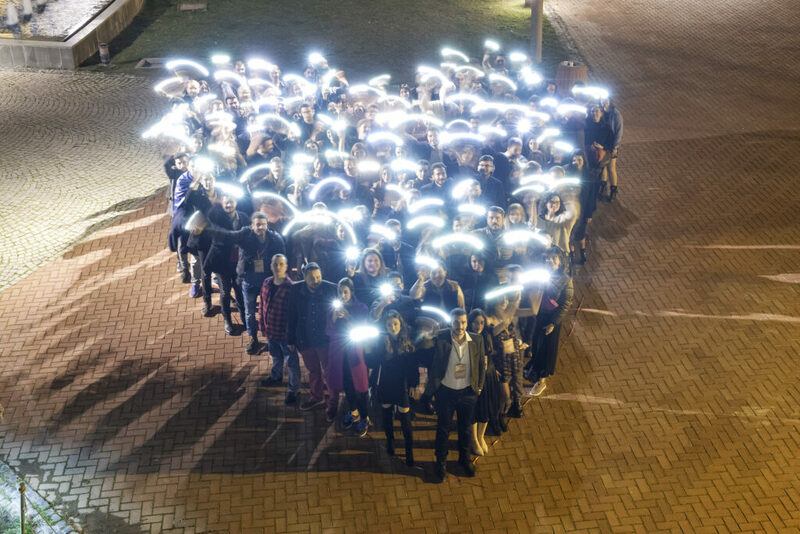 Francesca: ‘I’m AEGEE’ – me and all the other 13000 members. I wanted to be one of the AEGEEans who helped develop our association, who took the challenge to do something that was needed: clarify the essence of AEGEE, the things we do not yet have stated in a few words – vision, mission and means. So that every AEGEEan will not have any doubt when asked who we are! Anja: AEGEE’s need of a consistent and updated identity is obvious – it is difficult to have a “common identity” among all antennae AND to keep the special characteristics of each local at the same time. Since I am writing my Master’s thesis on European identity and I was working in an advertisement company (which also faces the challenge of clarification of identity) I thought that I could help out finding a good result! Ana: It was the everyday struggle to explain to people what AEGEE is. 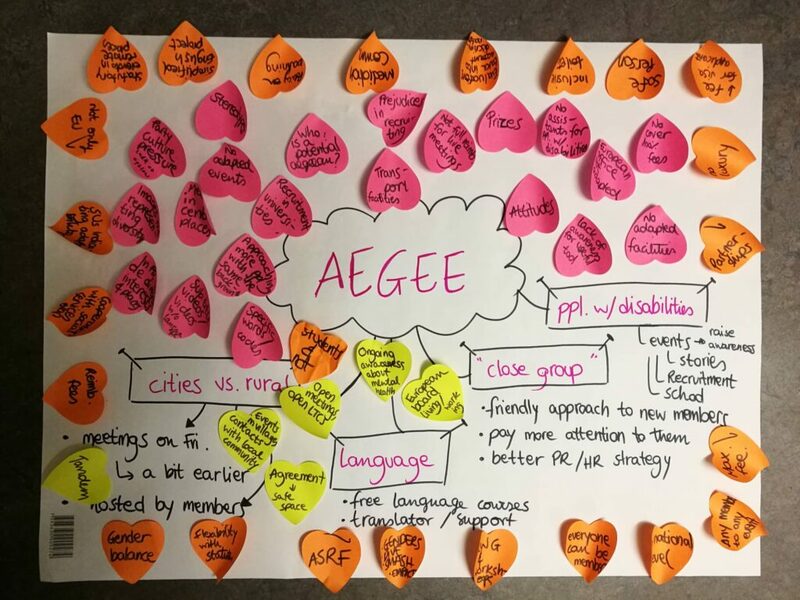 I wanted to find a common idea about what AEGEE is and “update” our identity to make it clear and simple. Ruta: The wish to make it clear for myself (as well as everyone else) what AEGEE is (not). 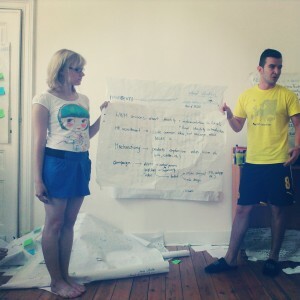 Ivan: Since I joined AEGEE I do not have a clear idea what AEGEE is and what it stands for. That was my initial problem which caused my interest in participating in Identity meeting. I wanted to change this problem and to come up with some ideas. Mayri: I sort of guessed that it would be a lot of work and that we would most likely run out of time. Although all that was true, I really enjoyed working late with other participants. In between useful discussions we were laughing in tears. I guess that was the best part for me – working hard while having fun. Maria: I think the group. The group was really motivated and driven and we worked hard together. As it was a serious event, people sometimes get bored, but that did not happen this time. Because we were all motivated to come up with a good result, we all kept each other motivated. Matthijs: Not so much a part, but rather the feeling that remains. The feeling of really wanting to finish this meeting successfully, no matter if that meant that we had to work very late. 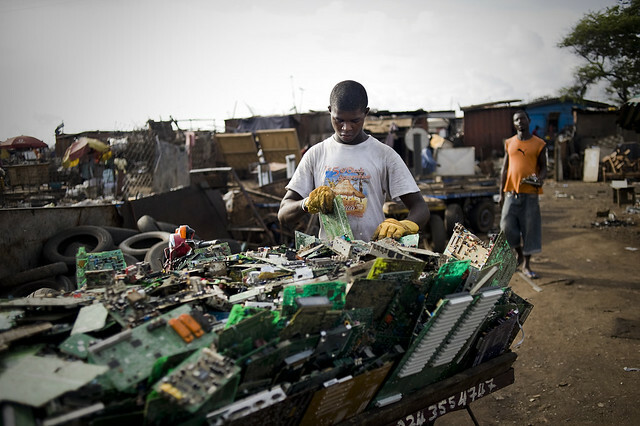 We just could not let go of the things that were unfinished for that day. I will not be the first one to say this, but the feeling of working hard with people just as inspired as you is incredible. Also, I totally rocked charades! Francesca: It was amazing to be a part of the process and to feel the commitment and passion everyone was putting in it. The best moment was working, facilitated by Ivan, until midnight to start re-arranging the statement of principles because everyone was actively participating and no one was complaining about the duration of the work. I love even how we started the meeting, with an exercise: ‘explain AEGEE in one minute’. I found it surprising and interesting to see that everyone has their own and often very different way to do it. Ivan: Best moment for me was the active participation of every member there during sessions. I did not expect such involvement. Apart from this, I also celebrated my birthday during the event, so that was pleasant for me too. 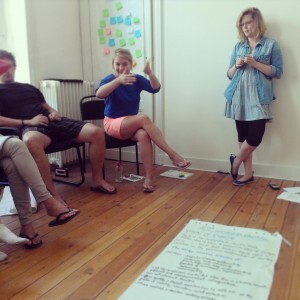 Anja: I learned so much about group dynamics, project management and really enjoyed visiting the CD house. Ana: It was definitely working late in the office on the last day. We had a lot of fun working on statements of principles. Ruta: Night in the CD house without any of CD members in the house! 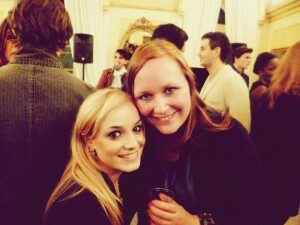 Francesca: After the event I went to the Leadership Summer School (LSS) and then we had our Summer University. Every time I had the chance, I explained to all AEGEEans I met (mostly during LSS) what we did and why. Soon a paper will be sent to everyone to understand better everything we did and it will be easier to explain! Maria: We have finished the draft documents, discussed a strategy on how to implement it, and now I am really looking forward to start with the preparations for the Agora. I hope you will all like it! 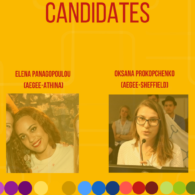 The topic of AEGEE identity continues not only for these nine people but for the whole organisation. It is certain that their participation in this weekend meeting in the CD house has contributed a lot to the topic and The AEGEEan congratulates them once more for being Members of the Month. N.B. 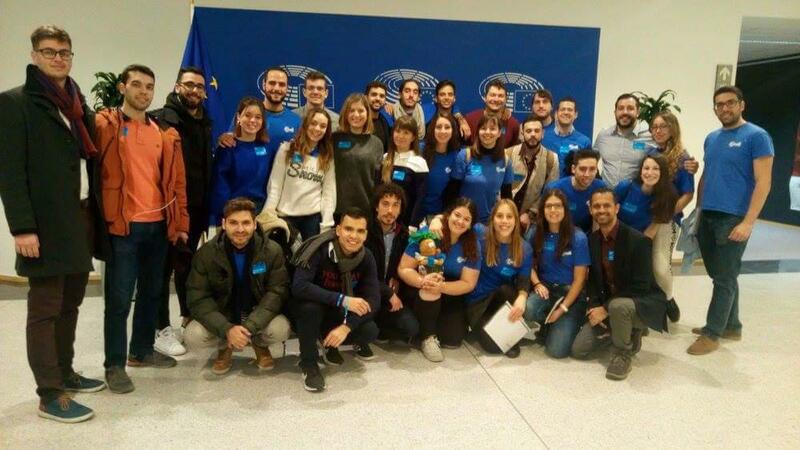 Jorge Miguel, AEGEE-Valladolid as well as Antonio Sanna are also chosen as Member of the Month but chose not to take part in the interview.